In 1984, my parents bought their first portable camcorder. It's true, you could hold the camera in your hand, but you also had to lug around the bulky VCR which held the VHS cassette inside. The ensemble would wrap around the shoulder and hang heavily at your side. When re-watching films that my parents recorded with the machine, I've often wondered if the weight of the contraption was to blame for the short pithy recordings. No one person is ever on screen for too long. Did the videographer need a rest? Over the past year, my parents have been on a cleaning frenzy. Old treasures from my childhood needed to be picked up immediately or they would be carted off to the local thrift store. Among the items that surfaced and perplexed my parents were our old VHS tapes. What should be done with these? They no longer owned a functioning VCR, so the tapes sat in a box clinging tightly to their memories like a Rosetta stone waiting to be decoded. On my most recent trip home, I peaked through the video collection and saw two VHS cassettes with labels that tugged at my genealogist's heartstrings. Both cassettes purportedly contained recordings of our family reunions from 1985 and 1994. I snagged the films, brought them home with me, and set about the process of converting them to digital. Here are my five tips to consider when digitizing VHS. The first tip may seem obvious, and it is, but how many of us are still sitting on VHS collections that are trapped in their ancient analog confines? We've all heard that VHS has a limited lifespan. The Digital FAQ, a family-run business that has specialized in media editing and conversion since 1977, estimates that consumer-grade VHS tape begins to degrade within 10-25 years. That means that the time to begin converting tapes recorded in the 1980s and 1990s is now. 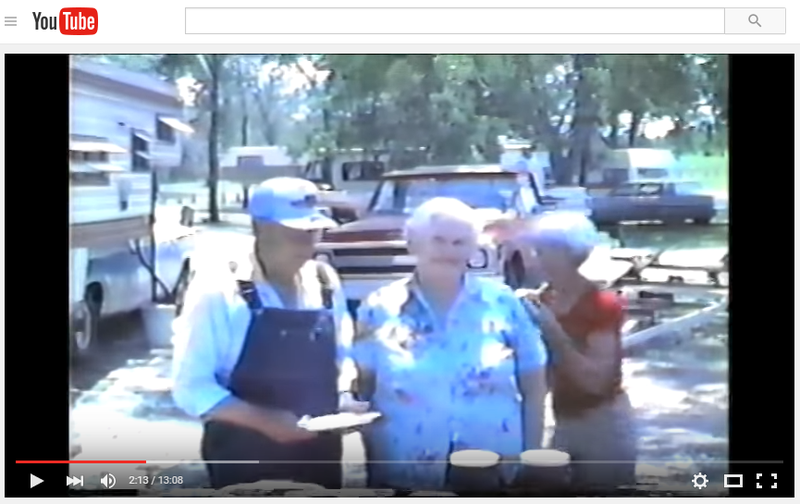 In the case of my 1985 family reunion recording, the time to digitize was approximately five years ago (at the latest!). VHS tape is fragile, often irreplaceable, and can easily be damaged by malfunctioning VCR equipment. It's important to search out quality professionals you can trust to convert your family treasures. Don't drop your tapes off with the first vendor you find listed in the phone book. Do your due diligence and find reviews or customer recommendations. Visit websites like Yelp to read consumer feedback. No reviewed vendors in your area? Don't risk it! Keep looking or locate a vendor elsewhere who will provide a special tracking package to ship your VHS tapes. Otherwise, the cassettes may be safer sitting waiting to be converted by an experienced professional rather than trusted with an untested amateur. After converting the 1985 family reunion tape, I was glad to see faces I hadn't seen in decades. Many of them, including my great-grandparents, have long since passed away. But their faces weren't exactly as I remembered them. Unfortunately, the tape had begun to degrade. The colors had a blue tint. Since my kinfolk aren't Smurfs, I was disappointed to see the degradation on screen. Discuss the video quality with your hired professional during the conversion process to determine what can (or cannot) be restored or fixed. Readers of this blog know that I recently created a private Facebook family history group, which includes over a hundred relatives (see Family Reunions in the Digital Age). The group shares old photos, family stories, and commemorates birthday anniversaries for our ancestors. It's been a fantastic way to engage new and old generations in our shared genealogy. Adding old family recordings to the conversation has been a great source of excitement for the group. It's one thing to see old photos of ancestors who have passed away, but an entirely different experience to see them moving on film and hear their voices. Consider uploading your digitized films to YouTube (you can do this privately) and share them with your family. In fact, sharing can help you identify those faces you don't recognize. Another perk to uploading to YouTube is that you now have a copy of the film stored in the cloud for additional safekeeping. Lastly, just because you've saved the footage to a digital format doesn't mean you can toss it. As genealogists know all too well, you may again have a need for the original source material. While the tape quality will continue to degrade, there are important steps you can take to protect and mitigate the VHS's demise. Film School Rejects shares helpful tips, including storing the tapes in a controlled environment away from humidity, extreme temperatures, direct sunlight, and magnets. Also, be kind and rewind (for the tape's sake)! Digitizing the two family reunion films and sharing them to my Facebook family history group has won rave reviews. One cousin called it "A treasure!" and another said, "seeing this glimpse into the past when my parents were alive, and the aunts and uncles is priceless." What other helpful tips have you learned from your own experiences converting VHS to digital?